Buying bogu is often a daunting task, not only is it a significant investment, but information about it can be difficult to track down. This is the same for beginners and veterans alike. In this article we take a look at ten key things for you to check; either before you buy or when you receive your new bogu. First off it is a good idea to appraise the core qualities of the bogu, namely how well it protects you and what materials are being used. 1. Does the bogu use good quality core material? This is one of the more difficult aspects to assess, whether ordering online or buying in a shop. You can’t just go and open up the futon to take a look inside. However the quality of a bogu lives and dies on what mateiral is used to stuff the futon. If the core material is weak, then so will the bogu’s protective capapbilities. What goes into your bogu is as important (if not more) as what is on the outside. It is a good sign if a supplier is happy to answer your question in regards to the core material. Many sets are advertised with specific core materials, but several do not mention it at all. This doesn’t mean the bogu is bad, you just need ask. Otherwise, sticking with suppliers that you trust is a good option. 2. Is the futon thick enough where you get struck? 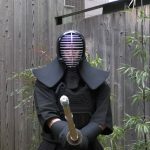 Kendo has four main datotsu-bui (valid striking areas) – the men, do, kote and tsuki-dare. These are the areas where you will be struck countless times; they need to be up to the job. Always stay away from thin and stiff futon, in-fact look for bogu that has thicker futon in the areas mentioned above. 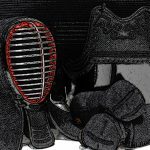 Good equipment will always feature ample protection – if the futon is too thin then training will be painful. 3. Is the stitching deep enough? This is somewhat of a technical concern, but it is important that the stitching of the futon has been done properly and has decent depth. 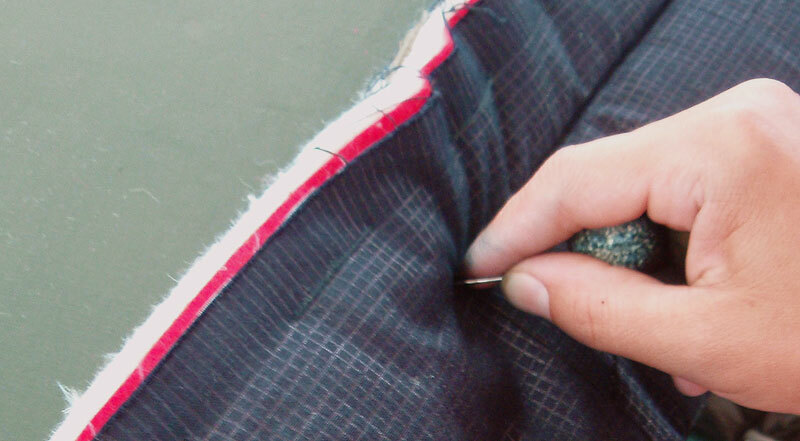 Shallow stitching un-picks easily and results in a low durability for your bogu. Noone wants a bogu that won’t last, so make sure you are buying well-stitched equipment. If buying online, the best options are suppliers that are well known for their finish and quality. The men is your single most important piece of protection, it needs to protect you from hard and powerful strikes; as-well as being comfortable to move in and use. Has the stitching of the uchiwa been done properly? 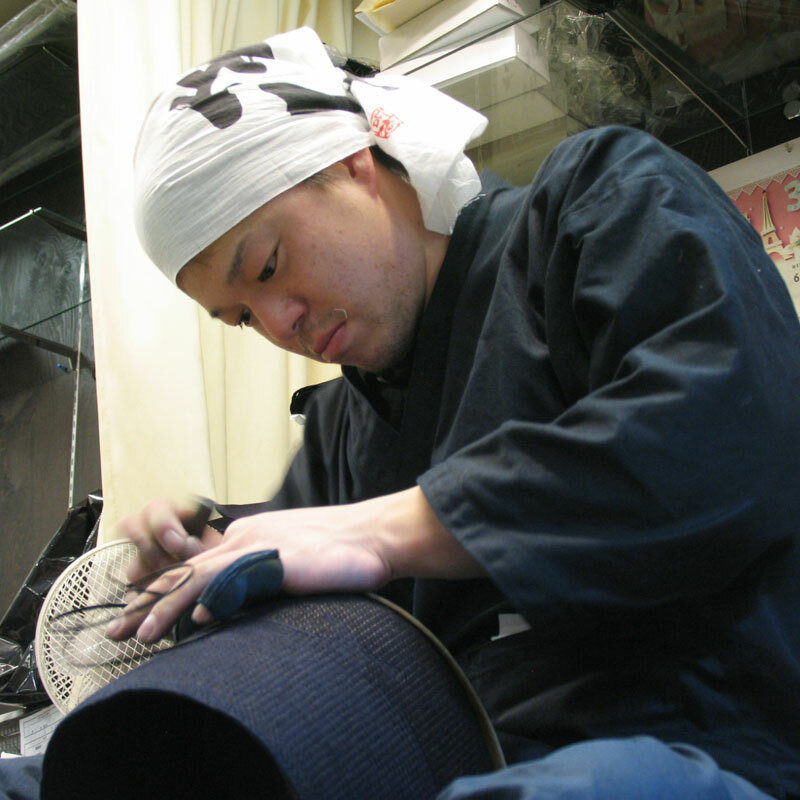 The uchiwa is the ring that encloses your face and connects to the menbuchi (grill-mount) and mengane (grill) as well as the surrounding futon. A well-fitted uchiwa helps keep you comfortable, able to kiai freely and turn your head with ease during furious keiko. However if the stitching that keeps it in place has not been thoroughly carried out the shape will deform substantially over time. This leads to an awkward fit that negatively impacts your keiko. Whenever you receive a men always check the uchiwas carefully. 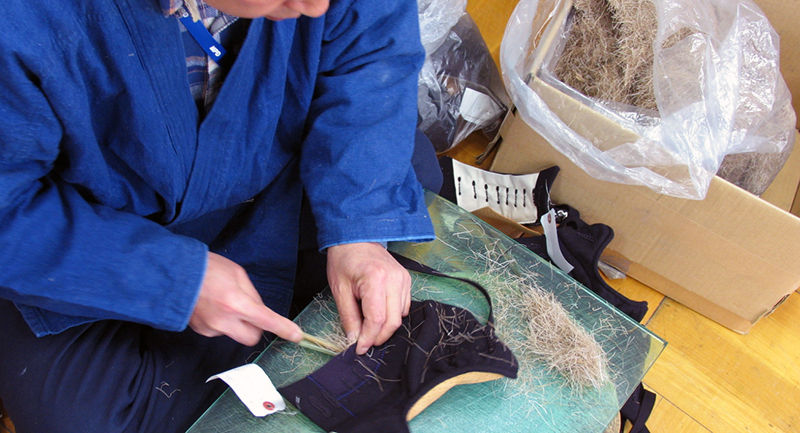 Our craftsmen adjust and inspect all of our men to ensure they are finished properly. 5. Are the mendare long enough to cover your shoulders? Over time, the fashion for mendare (the long flaps that cover your shoulders) has tended towards shorter styles. Whilst this is preferred by many shiai competitors and jodan practitioners, it is very important that these mendare can still cover your shoulder joints. 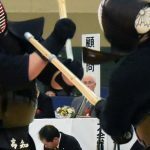 A shinai striking your shoulder directly can be dangerous and result in serious injury. 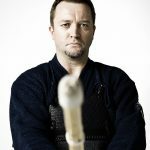 When choosing your bogu, always check the mendare length and your shoulder width to make sure they are long enough. 6. 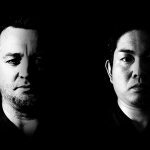 Is the tsuki-dare firmly affixed? The tsuki-dare is the throat protector and target on your men. It consists of the firm ago and more flexible yojin-dare that sits behind. It is crucial that both of these have been firmly attached and also that the yojin-dare is not too supple. 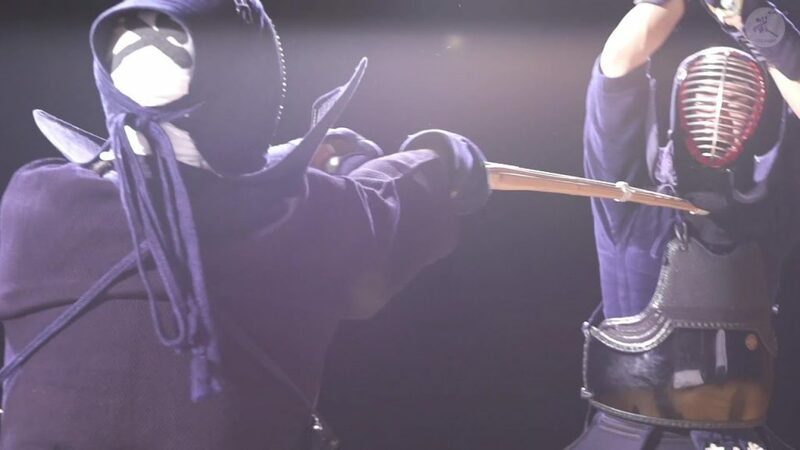 The tip of the shinai easily misses the ago and if the yojin-dare is too soft it will simply let the shinai past which can result in painful throat injuries. 7. Does the bogu have the option to attach a throat protector like the ISG? Tsuki waza often come out of nowhere catching you off-guard. Many good bogu these days have the option to attach an additional throat protector. At Tozando we use our own patented Ideal Safety Guard – it keeps your throat protected even if your head is forced back exposing your neck. Whilst a rare-occurence it happens a lot more than you expct, especially when the shinai slips upwards from your mune. Kote are struck almost as often as men, but the area is much more prone to pain and delicate parts like your fingers need all the protection they can get. 8. Does the atama of your kote have an adequate amount of stuffing? Good kote contain plenty of stuffing around the fist. The atama is the ‘head’ of your kote, it protects your fist. Good kote will have plenty of stuffing, providing a strong cushion for your fingers. Not only are your fingers at risk from being stuck by a poorly aimed strike, they can also be smashed into when you collide with your partner. 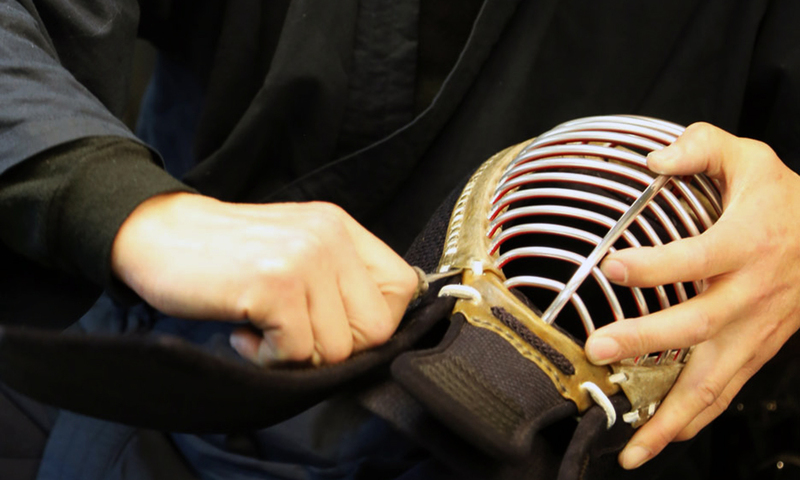 Taiatari and tsubazeriai can both lead to painful knocks: well-stuffed kote prevent serious injuries to your hands. Though these areas are not stuck as frequently, or in the case of the do have a very sturdy protector, there are still some things to watch out for. Are the leather parts of your do well-finished? This is something quite small, but can lead to pain and discomfort during training. For example if, your chichikawa is stiff and spiky, it can hurt when your do mune and sides are pressed against you. It can also damage your uniform. Does your hara-obi support you well enough? 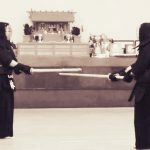 This is something that is easily overlooked, especially as tare with soft and flexible hara-obi (the belt area of the tare) are very comfortable to wear. However, if the hara-obi futon is too soft and flexible it fails to offer support to your lower-back. the result can be back pain and unecessary strain during and after keiko. This can lead to serious injury further down the line so make sure your tare is supporting you properly. So, the next time you are thinking of buying a bogu think about the above when you are making your choice. Here at Tozando we receive questions and queries about our bogu all the time – we are always happy to explain the specifications of our equipment. In fact, we are very proud of them! It’s important to try and source your equipment from suppleirs who are knowledgeable and passionate about the products they make. Here at Tozando, we employ in-house craftsman for their expert knowledge so we can provide you with equipment you can trust.